In the network below there are a total of seven routers. Five routers are configured for BGP and the others are configured for EIGRP and OSPF, respectively. 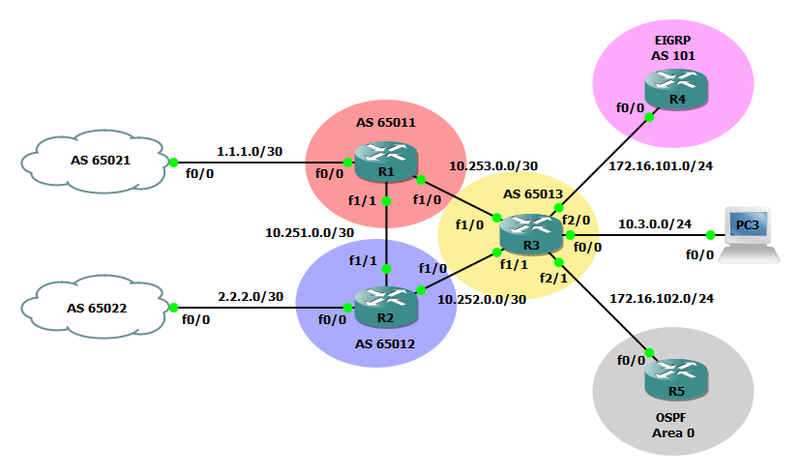 In this example BGP is redistributed into EIGRP and OSPF, and EGIRP and OSPF are redistributed into BGP. The most interesting configurations will occur on R3 but we will use R4 and R5 to verify all of the routes are properly being redistributed. The reason why we are using R4 and R5 to verify routes is to also confirm the routes are labeled as external. An external route is defined as any route that is not within the primary routing protocol. 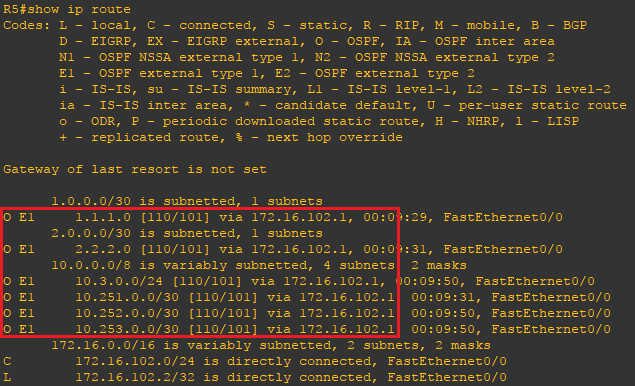 Step 5: Enable a OSPF routing process with each router having a unique router-id, enable OSPF routing on all applicable IP networks within one or more OSPF areas. 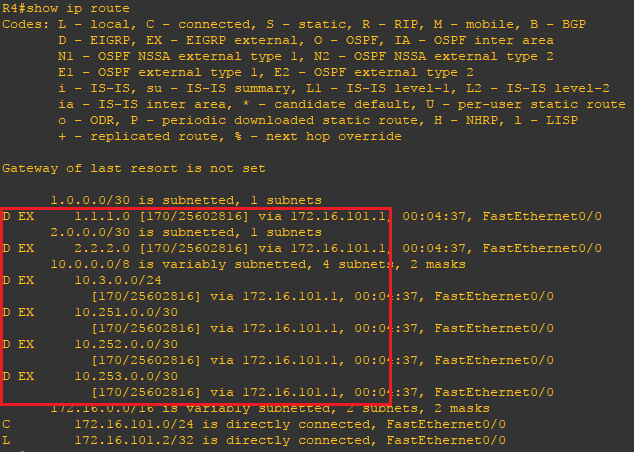 Step 6: Configure route redistribution from BGP into EIGRP and OSPF, and EIGRP and OSPF into BGP. 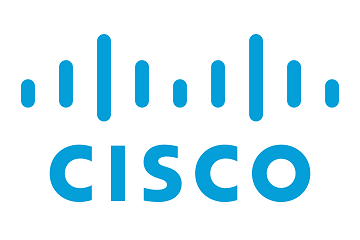 We will not redistribute EIGRP into OSPF and vice versa. 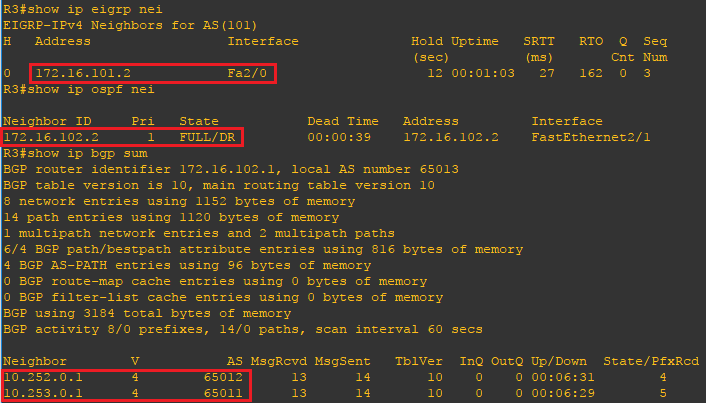 Step 7: Repeat the same steps on all remaining routers with the applicable interface and routing configurations.